St. Paul’s has a Senior High program for youth from grades 9 through 12. We meet during the Faith Connections hour at 9:15 am and discuss a variety of topics that relate to the weekly lessons or to relevant happenings in the local community. during the Faith Connections hour (9:15am-10:15am). The group will be meeting in the youth room. The Senior High group participates in community activities such as making Thanksgiving Baskets for families in need, and joining in the Christmas Caroling at Millcroft Nursing Home. The youth also willingly give their time as acolytes, crucifiers, lectors and ushers during weekly church services. 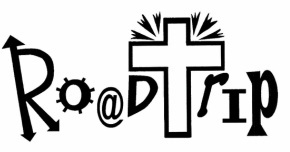 Road Trip is a yearly weekend retreat that is held in Ocean City, MD where youth from the DE/MD Synod get together to worship, focus on Christ’s teaching, meet other Lutheran youth and participate in a wide variety of special events. The Senior High Youth go to Ocean City Maryland for a weekend of service projects, faith-filled discussions, and relationship-building in small groups. RoadTrip includes workshops and networking for adults, as well as opportunities to worship together. New friends are made and old friendships are renewed from throughout our synod! It’s a blessed time spent learning how God is speaking to and through us– to the world. Two graduating seniors, both part of the St. Paul’s family since infancy, have been awarded 2018 Proverbs 22:6 Education Fund grants. Brad Kaden and Katie Spae spent their faith formation years actively serving St. Paul’s, their schools, and their community. Katie is attending Washington College this fall and is eager to pursue a career as a Physician’s Assistant. Brad is attending University of Delaware and has been accepted into the Mechanical Engineering program. Both Brad and Katie will receive $1,000 to help with their higher education. Please join us in congratulating them on their accomplishments, celebrating the wonderful young adults they are, and encouraging them on their next chapter of their faith journey.